Is It Malpractice? - Berman Law Office Is it malpractice if a doctor...? Is it malpractice if a doctor…? Potential medical malpractice clients often ask me that question. Generally, the potential client, or their loved one, was a victim of a bad medical outcome. Now, bad medical outcomes arise in many forms. Examples include botched surgery, failure to diagnose a serious disease, post-surgical infections, operating on the wrong body part, and all sorts of medical complications. The law in virtually all states, including New Jersey and New York, is clear. A bad medical outcome alone is not necessarily medical malpractice. On the other hand, many adverse medical outcomes are medical malpractice. How does one know which bad outcomes are malpractice? The answer is that a bad medical outcome constitutes malpractice if the health care professional departed from the accepted “standard of care.” Essentially, the “standard of care” is what the typical health care professional would have done in the same situation. For example, if the complaint is that a doctor who is a cancer specialist failed to diagnose cancer because he failed to order a particular test, the victim must prove that a typical cancer specialist would order that test in the same situation. Which brings me to the next requirement for a valid medical malpractice case. The action, or inaction, of the medical professional must cause the bad outcome. In the previous example, if the cancer was already terminal by the time that the patient saw the cancer specialist, it wouldn’t matter that the doctor didn’t order the proper test. The patient had no hope, no matter what the doctor would have done. Conversely, if the patient saw the doctor early enough, so that proper treatment could have achieved a cure, then a valid malpractice case likely would exist. 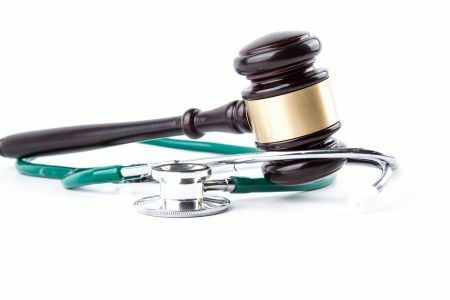 In this short post, I have only scratched the service of what constitutes a valid a medical malpractice case. If you are wondering “Is it malpractice if a doctor…,” read this more detailed post, or feel free to just call me. Captcha: 5 + 9 = ?